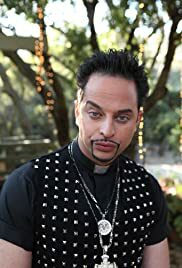 Bobby Bottleservice plays an elaborate game of H-O-R-S-E with his fellow gigolos to determine who will be kicked out of Gigolo House, and Mikey gets addicted to pills on "Wheels, Ontario." I honestly don't get how so many people can find this show so unappealing. It's a fantastic satire of modern celebrity and reality TV that sadly no one on the internet gets outside of a few niches. It's a parody of the downfall of society. It's something more people should get, but I guess Kroll coming from a show about fantasy football will give you an audience more predisposed to ESPN and firmly against Bravo therefore unlikely to get a lot of the humor. It's a satire and at this point in the second season it has blossomed into one of Comedy Central's best shows.